CCleaner (or Crap Cleaner) is an award-winning and popular system optimization, privacy and cleaning utility, developed by Piriform. It a multifunction small and effective tool designed to protect your privacy online and makes your PC computer faster and more secure. It allows you to clean junk data that accumulates over time from your system - to free up valuable hard disk space, and to clean traces of your web online activities such as your internet browser history allowing you to be a more confident Internet user and less susceptible to identity theft. Moreover, Piriform's cleaning tool offers a fully featured registry cleaner (remove unneeded entries in the Windows Registry), uninstaller tool (help remove unneeded programs), startup manager (select which programs start with Windows), disk analyzer, and disk wiper that allows you to wipe the free areas of your hard disk so that deleted files can never be recovered. It's an advanced yet easy to use tool for both beginners and advanced users. CCleaner uses internally-stored settings (.INI) files to determine which Windows settings and installed applications to clean, and how to clean them. You can modify these .INI files by creating replacement external ones and placing them in CCleaner's installation folder. .INI files are in plain text, so you can edit them with Notepad or manipulate them with scripting programs. New Feature: Software Updater, CCleaner now offers an update tool that automatically searches your PC for outdated software and updates all your apps with few clicks. This special tool is used to reduce potential security risk and fix vulnerabilities in old software (that make your computer more open to attackers). CCleaner Standard - Free edition of CCleaner. CCleaner Professional - Paid version which grant access to automatic silent cleaning, monitoring, updates and more. CCleaner Professional Plus - 4-in-1 cleaning & recovery bundle that includes CCleaner, Recuva, Speccy and Defraggler in their Pro editions. CCleaner Business - for Small and Medium Businesses. CCleaner Technician - for IT Technician and Helpdesk. CCleaner Network Edition- for Medium or Large Enterprise. CCleaner Network Professional- for Medium or Large Enterprise. Piriform provides 1 year licensing and priority technical support for all CCleaner Professional purchases. With this service, you receive the right to use this product on one or the specified number of PCs during the service period, which begins on license distribution. For portable use, you can run CCleaner from a USB drive and take it with you for use on other computers. You can also use the program to create a list of all the programs you have installed on your PC, which is useful if you're upgrading or moving to another computer. Buy Piriform CCleaner at 20% OFF. 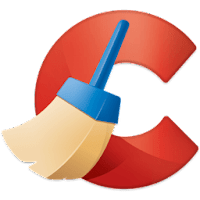 Redeem exclusive CCleaner coupon code valid at Piriform store! Internet Explorer, Firefox, Google Chrome, Opera, Safari and many others. Temporary files, history, cookies, super cookies, Autocomplete form history. Disclaimer: Direct downloads for the lastest version of CCleaner 5.56.7144 are provided by the official software's author, we can't guarantee safety, availability or download speed. Moreover, we don't and we won't provide any pirated/illegal versions or tools. We recommend you to avoid it as these methods can harm your device. If you like the software, buy it to support the developers. (We provide software discounts for many worldwide brands).